In the grandeur of the Lord Mayor's Parlour the authors gave readings from their books and the illustrators were interviewed to reveal the working processes behind the images. It was a great success with both authors and illustrators speaking confidently and professionally, once again suggesting that collaboration is the future. 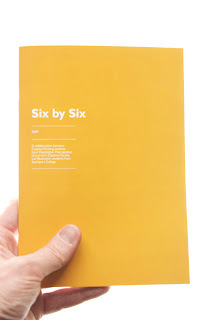 Six By Six is an exciting new publishing project which brings together MMU Cheshire’s latest Creative Writing graduates with Stockport College Illustration undergraduates. Earlier this year, Alice Slater, Liz Smith, Naomi Potter, Jason Weight, Jack Boardman and Tom Heinsohn handed over their unusually accomplished short stories to the cream of Stockport College's Illustration degree programme: Alan Dalby, Liz Ardolino, Natalie Wood, Chris Madden, Libby Vickers and James Peters. The result is a stylish and cool illustrated short story anthology. 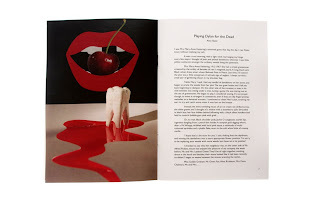 Join them this evening for a special launch event featuring readings from Six By Six and an exhibition of the artwork that so vividly enhances these fictions.